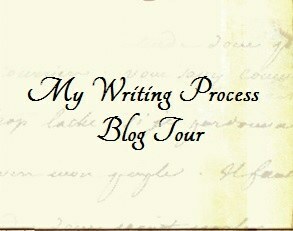 A few weeks ago I received an invite from Linda of La petite Paniere asking me to participate in the “Writing Process Blog Tour” I was extremely excited about the task that had been presented to me, unfortunately it got delayed because i had not been keeping well. Linda is an AMAZING cook whose blog is filled with delicious mouth watering recipes. I am not quiet the experienced blogger or photographer and I know how frustrating it can be to not get the right click! But Linda… sweet talented Linda is like a pro when it comes to all things good! Well I am going to start of my blog tour by thanking Linda for passing the beacon to me! Her blog is like one of the blogs I check up EVERY DAY her recipes are to die for, I suggest give them a try! Now coming to my blog- My blog is all about food! And all the support I recieve from my followers and other wordpress members encourages me too try new recipes. My younger daughter helps me chose the most tough and twisted recipes, my elder daughter helps me with the photography and my husband is the wise critic. What am I working on? I am working on perfecting my icing skills and learning to make all fancy cakes and delicacies. I am a full time mom and part time cook, and thats A LOT of work. How does my work differ from others of its genre? My work is different because I work like a perfectionist. Thats not a very good quality to have I have noticed over the past few months, all those beautiful blogs out there make it even worse, since I am just a beginner and only a part time baker, getting the perfect photographs and recipes is not easy. So I try try till I succeed. It annoys my children but they co-operate. I ALWAYS like to add my own twist to every recipe. So my kitchen is no longer an ordinary kitchen, it is an experimenting lab, where I experiment with all classics or everyday favourites, till my taste buds and the judges ( my children, dogs and hubby) announce it to be nothing less than perfect. How does your writing process work? It comes naturally. When I initially started I was very apprehensive and would chose my words as carefully I chose my recipes, but with time and the support I’ve got from all my blog friends who comment and like my posts, I became more comfortable writing and experimenting with new recipes. The confidence I feel writing now is all thanks to all those people who have left a comment, liked or followed my blog. I was never a confident cook before, but now I’ve started my own, small, food business nonetheless. And thats saying something. Liz from My favourite Pastime : Liz is a wonderful mom of four kids and I really like her blog as I enjoy reading her recipes, she loves to cook, bake, eat and travel and takes lovely pictures. Nancy from Nancy Creative : Nancy’s blog is lovely, she is extremely talented and a great photographer. I love all her recipes. Deepa from Deelightf fully Veg : Deepa’s blog is really nice I visit her blog all the time as I need different veg recipes to cook for my husband. She is a passionate foodie and loves to try new restaurants. I’m really touched by your kind words and thoughts, thank you so much Maulshri 🙂 You made my day. I really enjoyed learning a little more about you and I love your desserts XOX Have a great day! Thank you so much for including my blog here and most of all for liking my blog. That’s very kind of you. I appreciate. Your blog is always such a great pleasure to visit. I wish you a lovely week!